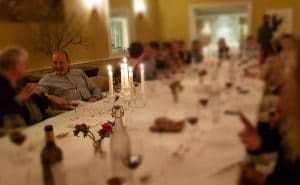 Ballymaloe House hotel hosted Chateau Feely for luscious wine dinner in 2018 that offered more proof that food provenance is what truly great food (and wine) is all about. Ballymaloe hotel and restaurant and their sister business the Ballymaloe Cookery school down the road are known for their fine food and longstanding commitment to fine artisanal and homegrown food. 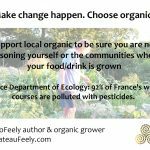 They are also great supporters of natural wines and organic biodynamic wines. It started years ago when Darina Allen said to Sacha Whelan (the family member now responsible for the hotel) ‘we have to get our hands on this natural wine’. The one concerned was Italian and not available in Ireland and it wasn’t easy to import but it started the Ballymaloe Natural wine love affair. That humble start is now strongly backed by convert Sacha, head sommelier Samuel Chantoiseau, a long time believer and Rica, the lovely assistant sommelier. 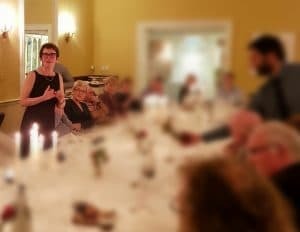 Chateau Feely’s Ballymaloe wine pairing dinner felt like a ‘natural’ follow on from the Ballymaloe natural wine events around litfest 2017 which featured Caro Feely and Isabelle Legeron the most important voice in the natural wine movement. 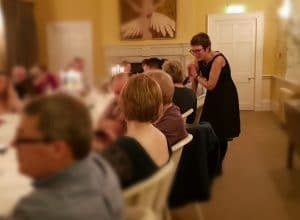 This wine dinner was for fun but also to learn about natural wine so we started with Feely Rose sparkling, canapes and a chat in the reception room before being seated in the gorgeous long room. Questions slowly rose up as glass levels dropped offering an opportunity to talk about pesticide residues, mycorizea, orchids in the vineyard and sulfite levels. The pairings were extraordinary. The starter of oysters with sincerite pure sauvignon, mackerel paté with luminosite natural dry white were accompanied by a shot glass of artichoke soup and a simply cooked spoonful of freshly picked leeks – all were divine. The leeks showcased how provenance straight from the walled organic garden trumps fancy cooking techniques. They were sweet and surpassed any leek I ever tasted. 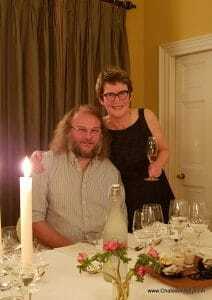 The crowd was a great mix of people from around Ireland – many stayed overnight including Conor Robinson and Maeve Dunne – friends who had handpicked the 2014 La Source and Grace NV reds we enjoyed with the venison, mash and carrots as main course. Words don’t do the food and the pairings justice – my mouth is watering as I write. The Ballymaloe team were masterful in the kitchen and the service. The pace was perfect offering time to chat and to answer questions between courses. As with our wines – it is all about the provenance and the respect of the produce from the ground up. ‘I always believed in Nature’. Just so. Thank you to Ballymaloe for an extraordinary evening.